Americans are eating way too much sodium. All the latest studies (from the Dietary Guidelines for Americans, MyPlate, the CDC, etc) point to general overconsumption of sodium. Sodium can pose all kinds of health risks, and even when people think they're cutting back on it, they could still be eating way more than they think they are. So what's a health educator to do? How can you spread the word about sodium consumption and its dangers? 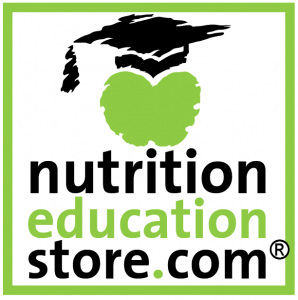 I realized that sodium education needed to play a larger role in the Nutrition Education store, so I gathered my researchers, dietitians, editors, and artists and we got to work. Now you can get everything you need in order to create engaging and effective presentations, displays, and handouts. Not sure where to start? I'll help you out! In fact, I'm even including a free excerpt from one of our new sodium education brochures as a grand finale to this post. Don't miss it! 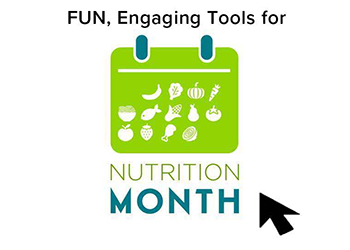 Promote awareness of the amount of sodium in different popular foods with the Salt Display Kit! This complete kit offers everything you need to create a colorful and educational display. 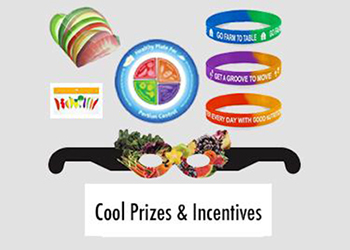 It's perfect for health and wellness fairs! Set the two How Much Salt Is In That? posters on a table with a salt shaker next to each photo. The salt shakers can be filled in order to show your audience the amount of salt in each food. 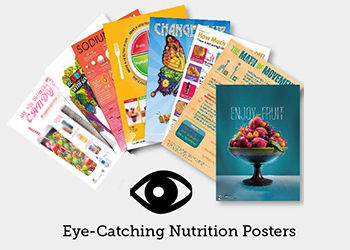 Then display the Low Sodium Choices poster on the table-top easel for a complete lesson. (Quick and easy set up means that you'll have more time for teaching)! Both of the How Much Salt in That? posters have measuring directions. You or your helpers can measure the salt into the shaker. Since the shakers only hold half an ounce, a whole teaspoon will look significant. There are two different posters about sodium content -- one details typical amounts of sodium in frozen and restaurant meals, while the other reviews the average levels of sodium in grain and deli foods. 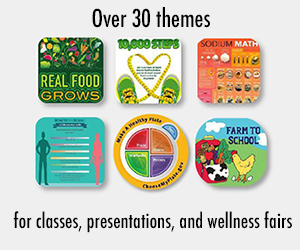 If you're looking to give a presentation about the role of sodium in food and health, then the Sodium Education Presentation and Handout Kit might be the perfect thing for you! Why reinvent the wheel when we've already done the work for you? The Dietary Guidelines for Americans, the CDC, and the American Heart Association all call for most people to cut their sodium intake by at least half. That's roughly 1,500 milligrams (mg) per day. This presentation helps people realize the importance of this recommendation. It will let participants know which foods are hidden sources of sodium, and will guide them through ways to eat less sodium and meet the recommendations offered by the Dietary Guidelines for Americans. 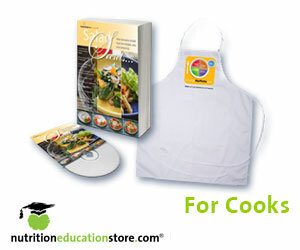 Read on for a free excerpt from one of our new sodium education brochures. You can buy the whole brochure too! Sodium is a key ingredient in table salt. Many health officials insist that Americans need to eat less salt, and it is the sodium part of salt that gives it its bad reputation. Sodium acts as a flavor enhancer and preservative -- you’ll find it in most canned and frozen foods. Of course, it’s also in the salt shaker, but most of the sodium in people’s diets comes from frozen, canned, and restaurant foods. Why Should I Reduce the Sodium in My Diet? Sodium can have a negative effect on your health. Its biggest impact is on your heart. You see, eating too much sodium can increase your blood pressure. When your blood pressure gets too high, your health could suffer. High blood pressure is dangerous because it makes your heart work harder than it should. 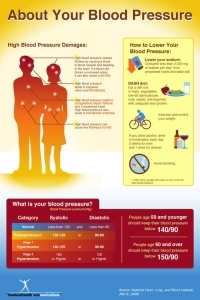 High blood pressure also increases your risk for cardiovascular disease, dementia, and kidney disease. According to the Dietary Guidelines for Americans, people should get no more than 1,500-2,300 mg of sodium per day. Less salt is good for your health -- especially your heart and brain. There are many ways to reduce the sodium in your diet. Start by building awareness. Check the Nutrition Facts labels on the foods you buy at the grocery store. How much sodium is in a serving? If the percent daily value is 20% or more, then that food is high in sodium. Research restaurant menus online to find low-sodium options. 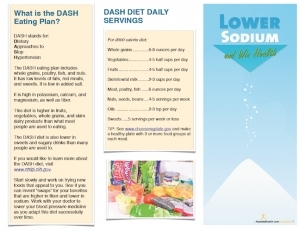 Then consider starting the DASH eating plan, which is a fantastic way to reduce your sodium intake. The DASH eating plan includes whole grains, poultry, fish, and nuts. It has low levels of fats, red meats, and sweets. It is also high in potassium, calcium, and magnesium, as well as protein and fiber. This diet is higher in fruits, vegetables, grains, and dairy products than what most people are used to eating. Start slowly and make sure to find foods that appeal to you. Note the lean aspects of the meals -- low-fat dairy and lean protein are very common in this plan. The DASH diet is also lower in sweets and sugary drinks than many people are used to. 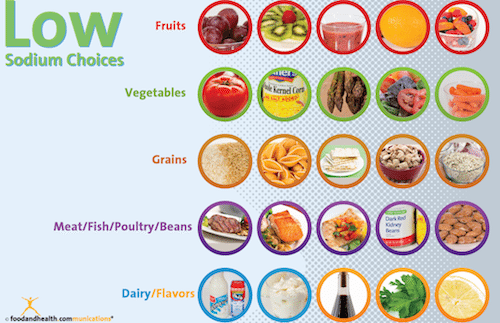 If you would like to learn more about the DASH diet, visit www.nhlbi.nih.gov.